Former Red Devils skipper to join Villans. 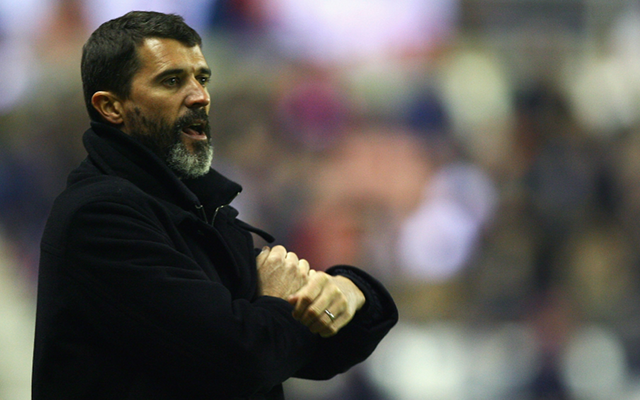 Former Manchester United midfielder Roy Keane is set to return to club football as he nears closer to taking the number two role under Paul Lambert at Aston Villa, according to the Metro. The Irishman has previously been in charge at Sunderland and Ipswich, but most recently has been acting as Martin O’Neill’s assistant with the Republic of Ireland national team. Keane will continue that role as he works alongside Paul Lambert at Villa, with the appointment expected to be confirmed before the players return for pre-season training on July 7. Keane was scheduled to travel to Brazil for the World Cup as part of ITV’s punditry team before pulling out at short notice, fuelling speculation that he was due to make a return to club football sometime soon. Villa sacked their previous assistants Gary Karsa and Ian Culverhouse at the closure of last season, citing behavioural problems, placing goalkeeper Shay Given and Villa legend Gordon Cowans in the roles on a part time basis. Owner Randy Lerner is currently in the process of trying to sell the club after failing to commit the necessary time and funds it needs to compete, and adding Keane, it is hoped, will add some sort of stability to the back room. SEE ALSO: Best young football players in the world!